Production house NHNZ’s latest series Wild About New Zealand goes to air on TV One in New Zealand next Tuesday, 3rd of September at 8:30pm. A six-part series Wild About New Zealand takes in all the beauty and idiosyncrasies of nine of New Zealand’s stunning and unique National Parks, and also profiles Hauraki Gulf Marine Park, our unofficial National Park of the sea. The series showcases this country’s dramatic topography, unique species, spectacular stories and the cast of thousands that fight every day to maintain and preserve the rich history and future of our national parks. Executive Producer John Hyde describes the series as “an epic reminder of why we live in one of the most beautiful countries on earth”. “The location of the content, combined with stylistically spectacular cinematography, and great characters enhance the story of our dramatic little country.” Writer, adventure guide and environmental specialist, Gus Roxburgh hosts the show and he does whatever it takes to bring the audience closer to the ‘heart’ of each park: descending deep into the limestone caves of Kahurangi; canoeing the haunting Whanganui River; abseiling the massive Bowen Falls in Fiordland; skiing the Tasman Glacier; looping the summit of Mt Aoraki in a glider flown by world renowned pilot Gavin Wills and hanging out with a predator from an age before dinosaurs evolved. Wild About New Zealand - Trailer from NHNZMedia. Wild About New Zealand, funded by NZ on Air’s Platinum Fund, was conceived by tourism marketing expert Chris Adams from Miles Media, radio host Jim Mora and ex-journo and ex-Maori Television executive Joanna Paul, and triggered by the 125th anniversary of New Zealand’s first national park, Tongariro. It also marks the 25th anniversary of NHNZ’s first series on New Zealand’s national parks; Journeys in National Parks. 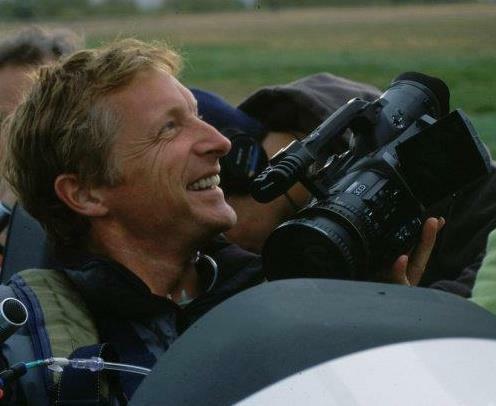 The series is supported by a website, www.wildaboutnewzealand.co.nz, (launching with the series on Tuesday, September 3rd) which aims to convert inspiration from the television series into action, by encouraging and educating Kiwis (and international visitors) to get out and enjoy the National Parks. As well as screening Tuesday nights at 8.30pm on TV One, episodes will also be available on TVNZ Ondemand. 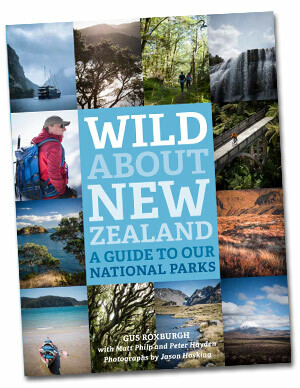 Random House will launch an accompanying book in early October, also titled “Wild About New Zealand”.